This day’s morning is by the sea, more or less. So, if you need more salt water, stop for a dip into the Mediterranean while we are still there. Close by the sea we will ride via Agde to Sete (good place for breakfast by the beach). Riding may not be very fast on those roads by the beach – I hope we will benefit from bike lanes every once in a while, which says something about the speeds I expect. Otherwise, this is the easiest day on the tour, fairly short and mostly flat. 70 km into the ride the track passes by more beaches, in case you want to go for another swim. A few km down the road we will be entering the swamps of the Camargue. At about 104 km you could turn right onto D 38. If you follow that road for about 13 km you will arrive at Saintes Maries de la Mer, a rather famous Hippy town on the beach. 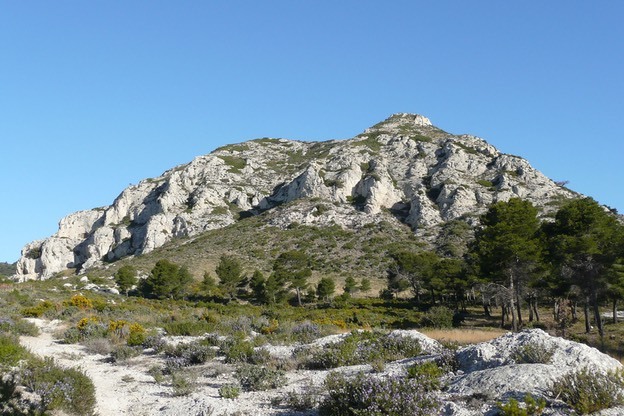 It is a option; adds a special place and 26 km of pure Camargue to your list. 13 km back on D 570 and D 85 will get you back to the main route. 132 km into the ride the tour will reach Arles, a pretty southern city with a famous arena. I recommend to cruise into town, take a coffee and sandwich or lunch somewhere. On a hot summer day Arles will be hot, but unlike the past 130 km there is shade, too. 150 km into the day the tour will reach an area I like very much and have travelled a number of times. Maussane is a typical town with nice little restaurants, shops with excellent local olive oils and wine. Leaving town, the route heads gently uphill for the final climb of the day into Les Alpilles, the little Alps, a pretty little mountain range. From its top you can see much of the French Mediterranean coast, from Marseille to the Spanish border – on a clear day. Riding is not too tough if you take it easy. First we climb up into a higher valley and further on to the mountain range. Once up, the road leads through pine forest before it drops down again towards the finish for the day. St Remy de Provence is a rather special place – in my view the town is a synonym for the good life. It is small but lively, very pretty with many shops and restaurants, a good place for art as well. Week 2 comes to an end here. We will stay for two nights in St Remy.